The Jadot wines are precious in the year 2015, a great year for all their red burgundies as well as their Beaujolais Cru’s. We received a very limited selection with very restricted quantities as the world chases the 2015 Burg’s which are nearing the end of their distribution cycle. A historic vintage to be sure, whispered in the same breath as the extraordinary and now ultra-expensive 2005’s. Luckily, we won’t have to wait another decade before the next greatest of the century because 2018 is rumored to be also great with a much greater yield than the small vintage that was the 2015. Our tasting this past Saturday showed wines of fine concentration and finesse, these are the real deal. Thus, for all of you who love Pinot Noir and Gamay, stock up on these 2015’s now and you’ll be glad to have these in your cellar in 5-10 years. This is the last call for the Jadots. And although there will likely be two or three other Jadots to come later this year (the Anniversary Beaune 1er Cru, Nuits St. Georges Boudot 1er Cru), the others have come and gone already. In fact, several negociants that we usually get in Alberta (Faiveley, Bouchard Pere et Fils) did not receive any high end 2015’s this year – a great shame for us. 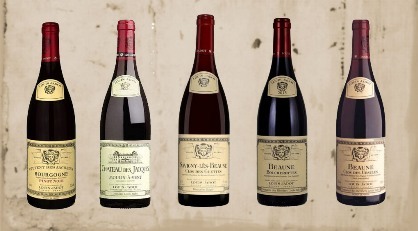 Note quantities of the Jadot Premier Cru’s listed below are very limited so get them sooner than later.